Any meeting place can become a video collaboration space. 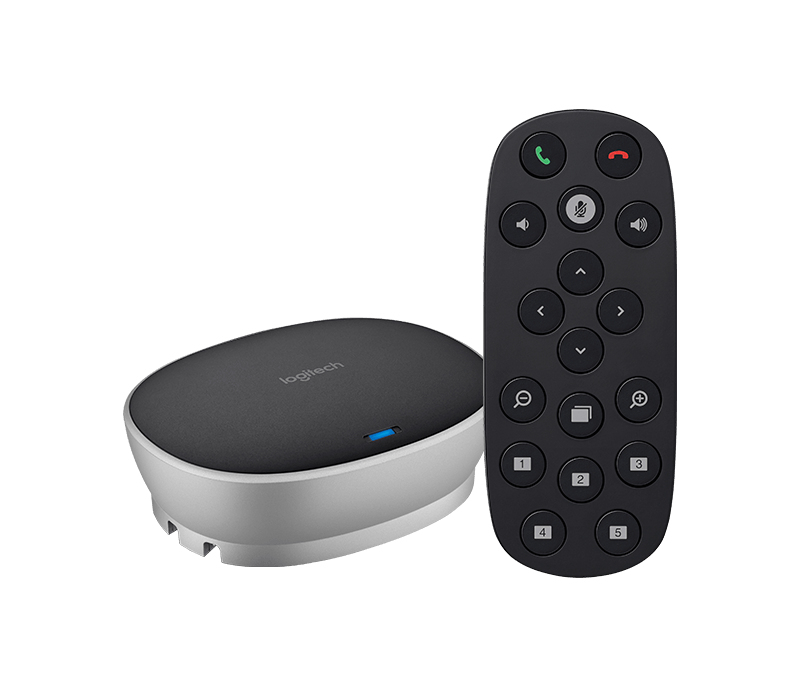 Logitech GROUP is as simple to use as a mobile phone and as affordable as an office chair. The base system is designed for meetings with up to 14 people in one room – optional expansion mics allow up to 20 people to collaborate. USB plug-and-play connectivity enables you to simply connect a laptop and start a video meeting. Meeting participants now can be easily seen and heard. GROUP delivers HD video and exceptionally clear audio. Optional expansion mics are available for larger rooms. Advanced features like acoustic echo cancellation, noise reduction technology, and intuitive controls deliver natural sound. 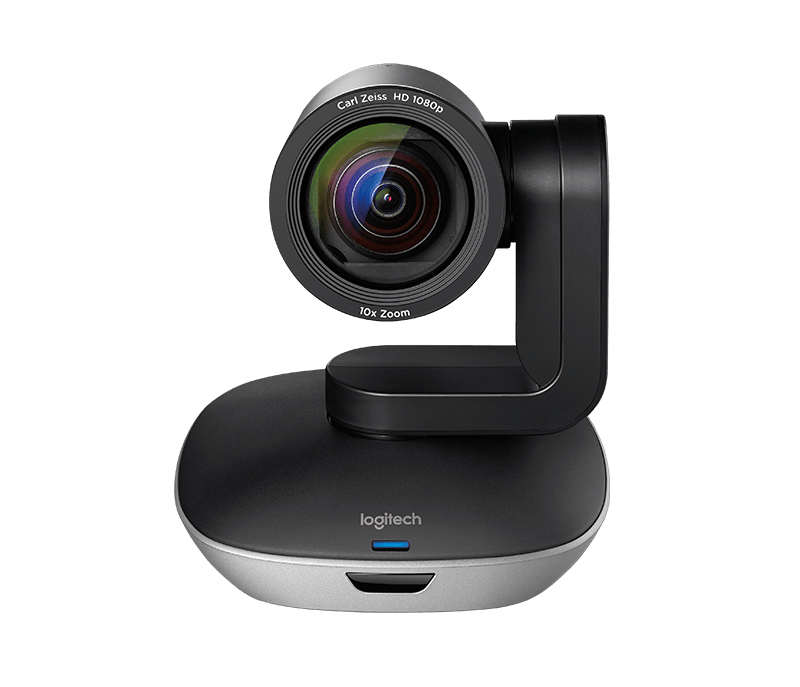 To set up a video meeting with GROUP, connect it to your laptop through USB, and you’re good to go. 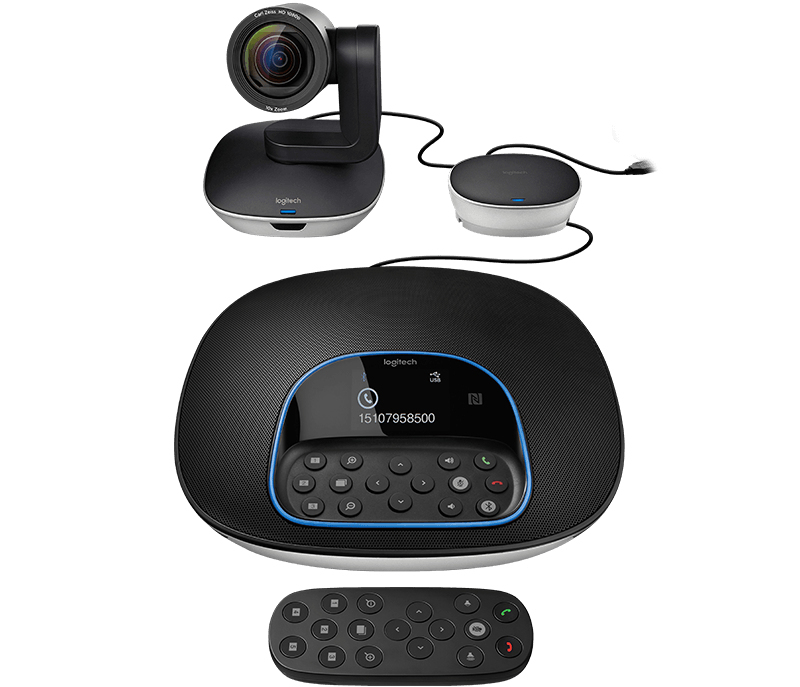 Use GROUP with any video conferencing software, including those you already use. For great-sounding audio calls, pair your mobile device with Bluetooth® wireless technology to the GROUP speakerphone. Customize the setup to match the layout and size of your room. GROUP offers options for camera mounting and mics: Use the camera on the table, attach it to a tripod, or mount it on the wall with included hardware. Optional expansion mics extend the coverage up to 8.5 meters (28'). 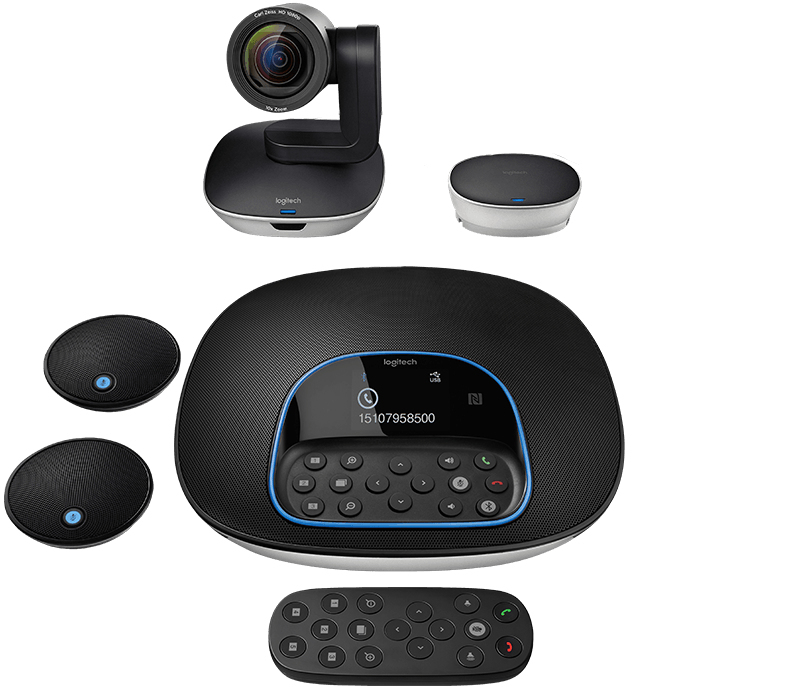 Bring meetings to life with GROUP’s high-quality HD 1080p video at 30 frames per second. H.264 compression reduces bandwidth. 10x zoom provides close ups with detail and clarity. ZEISS® lens certification meets high standards for video quality. Autofocus simplifies setup. Everyone hears and can be heard with GROUP’s duplex speakerphone, which delivers sound that’s crisp, clear, and highly intelligible. 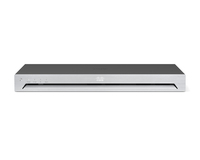 Acoustic echo cancellation and noise reduction technology make conversations natural-sounding while reducing reverberation and ambient noise.